This item is no longer available. Click here for replacement bags. 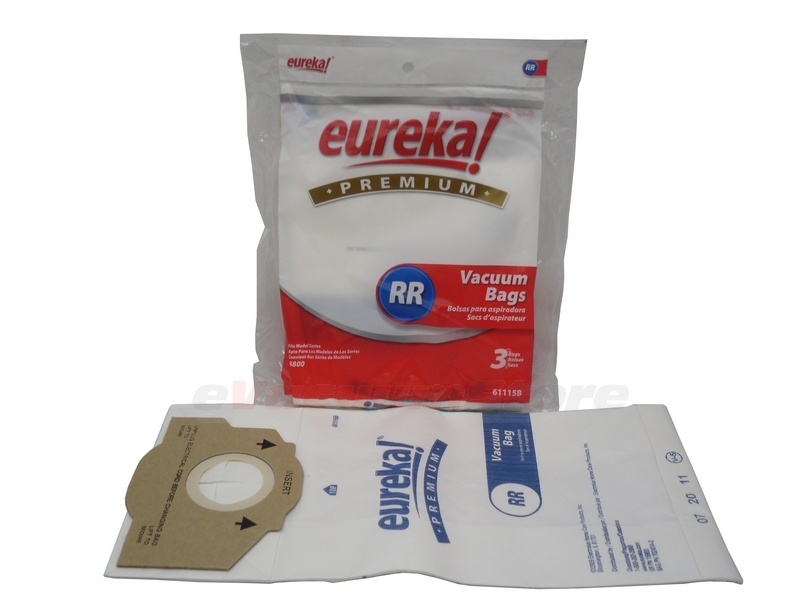 These genuine Eureka RR style dustbags are designed to fit Eureka 4780 and Eureka Smart Vac 4800 series models. Specific models include 4870, 4870AT, 4870BT, 4870DT, 4870DT-2, 4870DT-3, 4870F, 4870F-1, 4870G, 4870G-1, 4872AT, 4872BT, 4874AT, 4874B, and 4875A. One package includes three genuine Eureka vacuum bags. For more information, or to place an order over the phone, please call (866) 972-8227. I can't seem to find these vacuum bags in the stores any more, and my vacuum still works, so it is nice to find them here. Quick shipping. Quick, accurate service, with exactly the product I needed. Very satisfied--thank youi! !